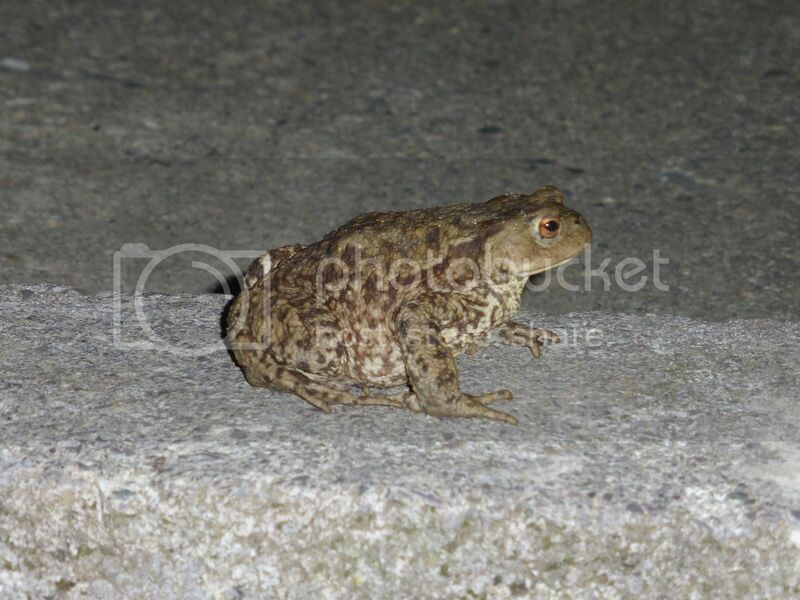 Posted: Sun Aug 02, 15 2:05 pm Post subject: Toadfinch? When I kicked Grace the Labrador outside for a 'Jimmy Riddle' last night, this charming chap was on the wall right by our backdoor. We don't cut thistles down in our place, because they look as nice as any garden centre bought plant and they provide food for the wild birds. I took this picture in our front garden this afternoon. I'm too good for this place. Tatty by. Lovely pictures, Bodger. 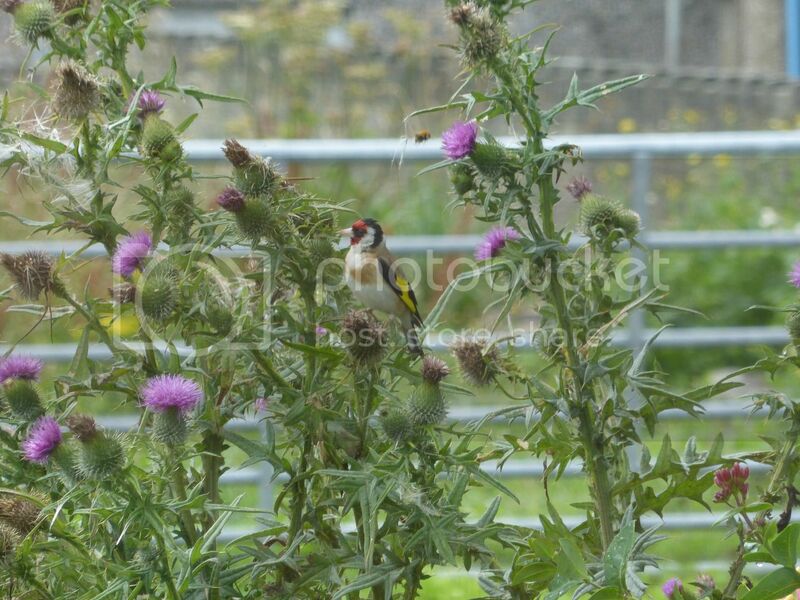 Don't think the Goldfinches have started on our thistles yet - but I shall keep my eyes open. nice snaps ,too many folk think "weeds"have no use,looking out the window all but one of our flowers are "weeds" unless one regards them as habitats or guineapig snacks. Lovely pictures Bodger. We must have finches on the thistles up in the woods, but I don't very often see them. You should have said the numbers of finches are declining due to the Tory government, then you'd have got more replies. Anyway, we also don't cut thistles on our woodland or new home and get flocks of gold and green finches. We also had a pair of bullfinches feeding off the sowthistle seed heads earlier in the year. We don't often see them and i wonder if we'll be as please in spring if they start munching fruit tree buds! trichomonosis and extreme weather events seem major factors rather than direct interventions by kleptocrats but the continuing industrialisation of food production to fill the shelves and pockets of the supermarket owners (always good for a donation or directorship to friends in government) and the likes of monsanto reducing both habitat and food supply is also a potentially important factor in finch populations. garden habitats have become increasingly important in the survival of viable populations of small birds.